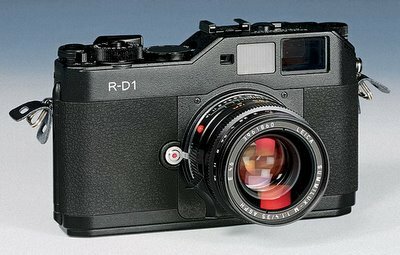 I've just published my long-term review of the Epson R-D1, the only DRF (Digital Rangefinder) camera available for sale anywhere in the world. This extensive article looks at the camera's performance and reliability over the past 15 months based on my own experience (with three bodies) and the experiences of 48 photographers who responded in detail to a custom-designed survey about the camera. It should prove to be of interest for anyone who is curious about DRFs, whether they are R-D1 owners or not. For those who are considering buying the camera, this is essential reading. How about a preview of some of the article I'm expected to pay over $25 to view? Your first Mike, please do not let this blog become a place for hawking products or pay-only websites. Actually, you can skim down halfway and find links to various articles he has already written for LL. The amount of time he put into testing various lenses, I can see why he'd feel the need to charge to continue his work. As Oly said, there are links to six articles I've written on the homepage. They will give one a very good idea of how I approach reviewing. Since you apparently haven't read me, perhaps your criticism is a bit hasty. Mike didn't say a word about my site until he had a chance to read me for himself and come to his own decision about whether or not my work was worth a subscription fee. One can advertise on a review site (which I think can potentially create a conflict of interest) or he or she can work for free or through subscriptions. Magazines make money both through advertising and subscription sales yet people seem to be quite comfortable mentioning their articles on web sites. Let's not have a double standard just because articles are on the web rather than in print. Books usually aren't free either.